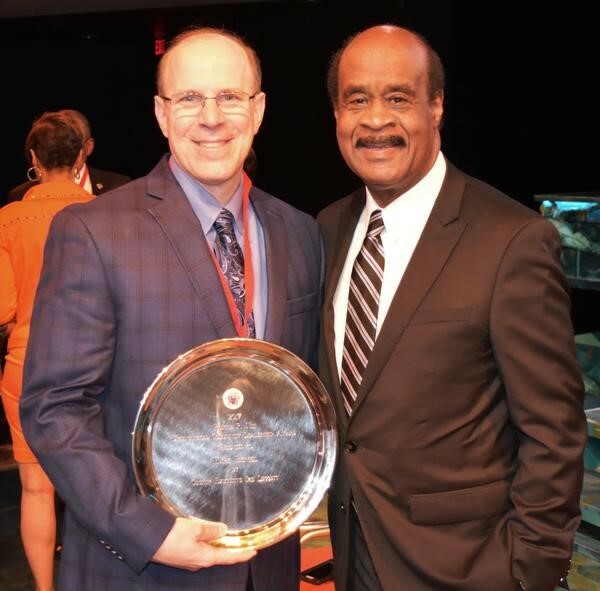 Silver Spring, MD On April 24, 2017 Montgomery County Executive Ike Leggett and Congressman Jamie Raskin presented A Wider Circle’s founder Dr. Mark Bergel with the 2017 Roscoe R. Nix Distinguished Community Leadership Award. The award was presented at the annual Montgomery Serves Awards at Imagination Stage in Bethesda, Maryland, where Dr. Bergel received praise for his commitment to those living in poverty. In his acceptance speech, Dr. Bergel expressed his gratitude for the honor, but stressed that there is still much more work to be done. Dr. Bergel founded A Wider Circle in 2001 and has emerged as a leader in the movement to end poverty. He is a nationally acclaimed speaker in the fields of poverty, health, and social connection and has been featured on national television and radio programs. Dr. Bergel earned a B.A. from Northwestern University and went on to receive both Masters and Doctoral degrees from American University. Since its founding, A Wider Circle has served 185,000 children and adults with basic need items, workforce development, and long-term wraparound support.